The Games on Demand version supports English, French, German. 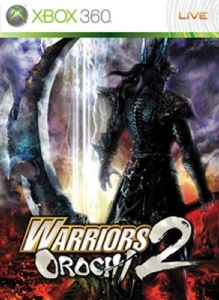 Warriors Orochi is back! New dangers threaten the new-found peace of this strange land! Shattering time and space, the venomous Serpent King Orochi kidnapped the DYNASTY WARRIORS® and SAMURAI WARRIORS® in a scheme to test his might. The heroes eventually defeated Orochi and his menacing army. While the slain Orochi lies in the netherworld, a mysterious alliance is hatching an otherworldly plan so that the Serpent King may rise again. Now a new group of warriors must join forces with history’s finest in an effort to stop this evil resurrection.